When you are involved in a car accident, you may suffer a wide variety of possible injuries. Some of the most disconcerting car accident injuries involve trauma to the spinal cord, neck, and back because injuries to these body areas severely impact your ability to move and function on a daily basis. Not only are these types of injury serious to treat and to recover from, these injuries are also notorious for taking a long time to heal. Whiplash is one of the most common injuries sustained in a car accident, especially when a driver is hit from behind. Whiplash symptoms are caused when a driver is suddenly struck and his or her head is jostled sharply while his or her torso stays relatively still because the seat belt straps him or her to the seat. The head and neck are often jerked around violently during a car accident, back and forth or from side to side. Such sharp, sudden movements can cause serious injury to the muscles and tendons in the neck, shoulders, and upper back. New and notable pain in the neck. Limited range of motion in the neck, i.e., the inability to complete turn your head from one side to the other. The inability to look over your shoulder. Swelling, knotted or hardened muscles in the neck. Headaches that start at the base of the head (in the neck) and radiate into the brain. Whiplash injuries, like all other car accident injuries, can be serious, life altering, and long lasting. Many car accident victims suffer pain associated with their whiplash injuries for many years after their car accident. This is because whiplash injuries involve a combination of nerve injuries, connective tissue injuries, and muscle injuries in the neck and shoulders. Whiplash victims could also suffer injuries to the vertebrae and discs in their neck. In the long term, whiplash injuries from a car accident can cause prolonged headaches, fatigue, and pain, and can cause the victim to miss work because of his or her injuries. It is not uncommon for people suffering from whiplash injuries to take time off from work to get medical attention and rest as they recover. Victims of car accidents in Nevada all too often suffer neck injuries in the form of whiplash. The neck pain and other symptoms of whiplash can be severe and unignorable. You need medical attention for your whiplash injuries, and you deserve financial compensation from those who are responsible for causing the car accident that caused your injuries. 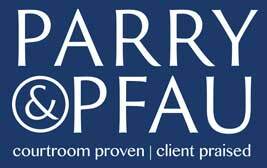 If you need an experienced Nevada personal injury lawyer after suffering whiplash injuries in a car accident, you can always reach out to the team at Parry & Pfau. On the good stuff, we promise. Newer PostIs it Legal to Own a Pet Fox? Older PostBoating Accidents in Nevada?